«The person you are» illustrated quotation. DNA, free quote pictures for Facebook, Twitter, LinkedIn, Reddit, Pinterest and other social networks. The more that I looked at DNA, the more I realized it was nature and nurture. 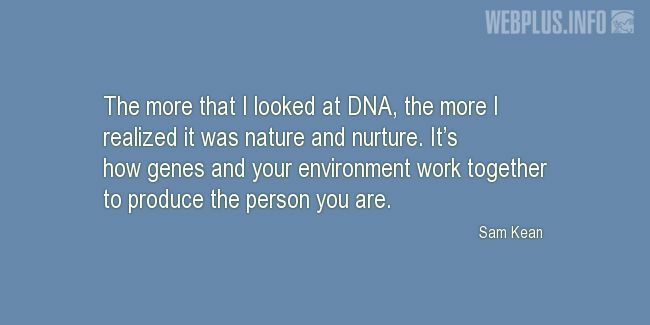 It’s how genes and your environment work together to produce the person you are.